This taco Tuesday I bring to you our Homegrown player Tyler Deric. He is a true inspiration and a great example that dreams do come true. He is the first Homegrown player signed to the Houston Dynamo and the 2nd in the leagues history to be called to the first team. A Homegrown player in the MLS is a local player signed from the academy directly to the MLS. 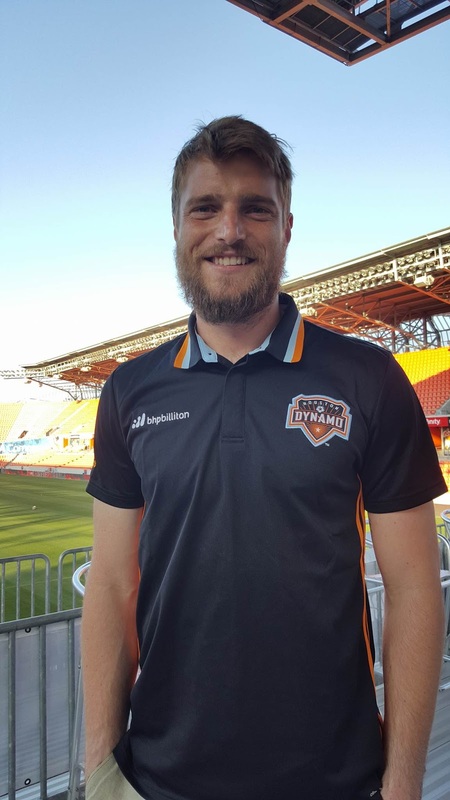 Deric was signed to the Dynamo in 2009 and assigned as 3rd Goalkeeper. That being said you can just imagine the wait!!! At the time of his signing Pat Onstad was 1st Goalkeeper for the Dynamo followed by Tally Hall. Maybe everything does happen for a reason it gave him the opportunity to learn from two great Goalkeepers. For the misfortune of Deric he had trouble with the law in 2012 in which he was held in containment for "assaulting and off duty officer " (all charges where dismissed). I only bring this up because according to Deric that was a wake up call for him. He admits on MLS insider that he realized everything he had worked for could be gone in an instant. Since that incident he has worked and strived for the best. He had waited patiently for his turn when at the end of the 2014 season he was called to guard the goal!! He his currently the 1st Goalie for the Houston Dynamo and in my opinion (crossing fingers) is on the road to become the goalie for the USMNT!! why not? one of the greatest of the MLS!! Not only is it a beautiful save but I can just imagine the jitters he must of had!!! Deric is only a year older than me and growing up I have followed Kakas career and idolize him. Just the thought of being in the same building as him makes me want to cry. I imagine Tyler feels the same and he didn't let the nerves consume him and this is the outcome!!! wow you are really passionate about soccer.